Samuel Freeman is a leading political philosopher and one of the foremost authorities on the works of John Rawls. 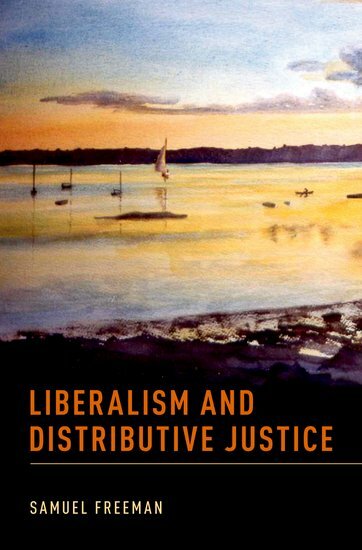 Liberalism and Distributive Justice offers a series of Freeman's essays in contemporary political philosophy on three different forms of liberalism-classical liberalism, libertarianism, and the high liberal tradition-and their relation to capitalism, the welfare state, and economic justice. Freeman organizes his chapters into a narrative arc: from liberalism as the dominant political and economic system, to the laws governing interpersonal transactions in a liberal society, to the broad social and political structures that determine distributive justice. Freeman analyzes the primary differences between the classical and high liberal traditions and shows why libertarianism is not a liberal view. He then shows how Rawls's liberal principles of justice and the difference principle are to be applied in both ideal and non-ideal circumstances, and also to questions of private law, and then demonstrates why Rawls's difference principle supports a property-owning democracy rather than welfare-state capitalism, effectively responding to criticisms by Amartya Sen, G.A. Cohen, and others. Finally, he argues for the social rather than global bases of distributive justice and explains why principles of distributive justice should apply primarily to structure basic social and economic institutions. Samuel Freeman is Professor of Philosophy and of Law at the University of Pennsylvania. He is the author of "Justice and the Social Contract" (Oxford University Press, 2007) and of "Rawls" (Routledge, 2007). He is the editor of "The Collected Papers of John Rawls" (Harvard University Press, 1999), "The Cambridge Companion to Rawls" (Cambridge University Press, 2002), and John Rawls's "Essays in the History of Political Philosophy" (Harvard University Press, 2007).